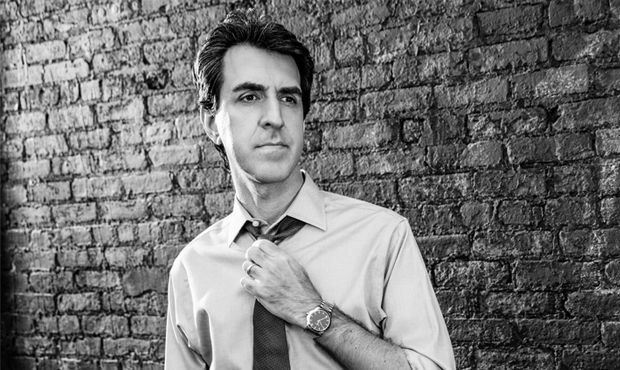 Composer Jason Robert Brown has announced a one-off concert at the London Palladium. The event, which will take place on Wednesday 11 April, will see the three-time Tony Award-winner joined by the 60-piece BBC Concert Orchestra, conducted by Larry Blank, as part of BBC Radio 2's Friday Night is Music Night. Featuring songs from his musicals including The Bridges of Madison County, Parade, Songs for a New World, The Last Five Years and Honeymoon in Vegas, Brown will be joined by special West End guests who are yet to be announced. On the announcement, Brown said: "My general feeling about musicians is ‘the more the merrier', and particularly so when it's a group of musicians as versatile, as sensitive, and as spectacularly virtuosic as the members of the BBC Concert Orchestra. "I can't wait to share the music I've written with these brilliant musicians, these glorious singers, and the wonderful audience at the Palladium and on the air!" An Evening with Jason Robert Brown takes place at the London Palladium on 11 April.